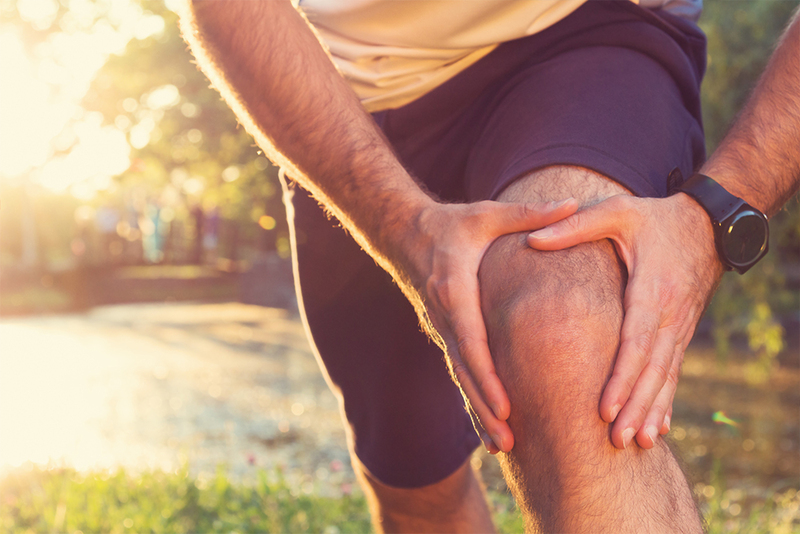 By the time we reach age fifty and older, many of us begin to suffer knee pain from osteoarthritis, which can often be relieved with pain medicine. However, when you begin to experience a level of knee pain that that makes walking difficult and stops you from doing the things you enjoy, it may be time to consult an orthopedic surgeon to discuss knee replacement surgery. How long does this surgery take and what kind of anesthesia is used? The procedure takes slightly over an hour and is typically performed with a spinal block, which numbs the body from the waist down. The patient is also sedated to achieve a state of calm relaxation. There are certain circumstances in which a patient receives general anesthesia, however, the data show that patients undergoing knee replacement surgery with a spinal block have fewer complications and less post-operative pain. How is pain handled following joint replacement surgery? One of the advantages of spinal anesthesia is that it takes several hours to totally leave your system and thus provides effective pain relief immediately after surgery. This makes it easier for patients to get up and start moving shortly after their surgery and typically they require less pain medication. Whether a patient has had spinal or general anesthesia, we utilize a multimodality approach to post-operative pain relief that incorporates injecting local painkiller around the knee, cold packs, narcotic and other pain relief medications, meditation, and physical therapy. Our goal is to get patients moving (with assistance) either the day of or the day after surgery. On the second day after surgery, patients practice going up and down stair steps. Once patients can get up and move sufficiently to reach the bathroom and kitchen, they can go home, which often happens on day three. Why is it so important to move around following knee replacement surgery? A very small percentage of joint-replacement patients develop blood clots that can lead to pulmonary embolisms or deep vein thrombosis. The risk of developing either of these complications is reduced by movement–which increases blood flow through the leg muscles–coupled with blood-thinning medication. Are there other risks associated with joint replacement? There are risks associated with all surgery. Patient safety and reducing the risk of possible infection are of paramount importance. At Cayuga Medical Center, where total joint replacement surgery is performed several times a week, we are fortunate to have a brand new Surgical Services Department. We perform joint replacement surgery in a state-of-the-art laminar-flow room (which ensures the circulation of ultra clean air), we operate in body suits that provide additional patient protection, and we use the very latest technology for sterilization of instruments and equipment. Special iodine dressings are applied to the surgical site just before cutting the skin. By making the incision through these special dressings, we have an additional barrier to infection by killing bacteria that can lurk just beneath the skin’s surface. The list of infection control measures is long; these are just some of the steps we take to reduce surgical risks. How long does it take to fully recuperate from joint replacement surgery? This is a difficult question to answer. Some people recover very quickly; other people who have developed significant scar tissue in their joint take longer. Physical therapy is extremely important following knee replacement. I tell my patients that orthopedic surgeons put the new parts into the knee and physical therapists get the parts working. We are fortunate to have excellent physical therapy available locally. I urge patients to find a therapist they enjoy working with because this relationship is crucial to the recovery process. How long will the knee implant last? This varies somewhat, however, it is not uncommon for the newer generation of implants to last 15-20 years. If the joint begins to wear out, we can replace the plastic bearing between the thighbone and shinbone relatively easily if we catch it in time. We keep track of this through regular X-rays. Dr. Mannino is board certified in orthopedic surgery and serves on the medical staffs of Cayuga Medical Center and Schuyler Hospital. He is in practice with Orthopedic Services of CMA and can be reached at (607) 272-7000.